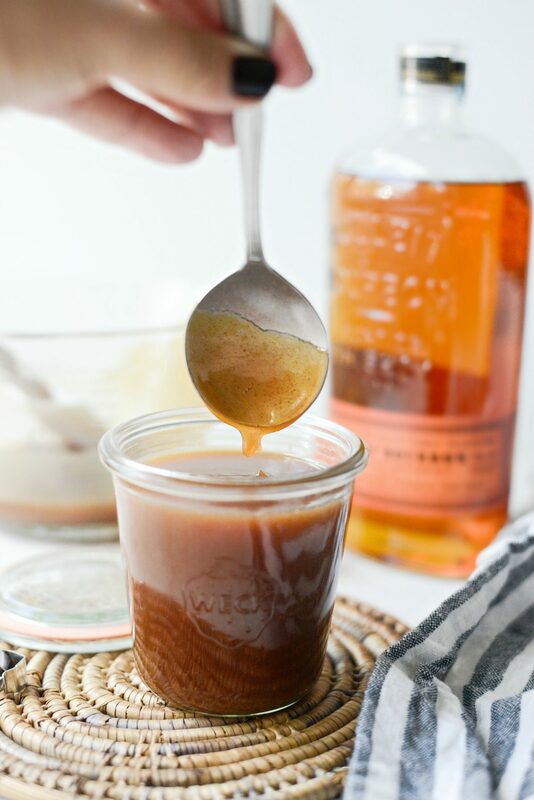 What’s cozier than warm homemade Bourbon Salted Caramel Sauce drizzled over your pie, ice cream or in your iced coffee? 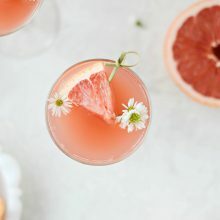 This virtually foolproof method calls for a handful of ingredients and is quick, delicious and boozy! I’ve only had a bottle of Bulleit on my liquor shelf for the last year. I had plans to make some cocktails with it but never got around to it. Story of my life. However having a forgotten bottle of bourbon means that when you decide to spice up (read: booze up) some homemade caramel sauce, you can spike with with the good stuff! 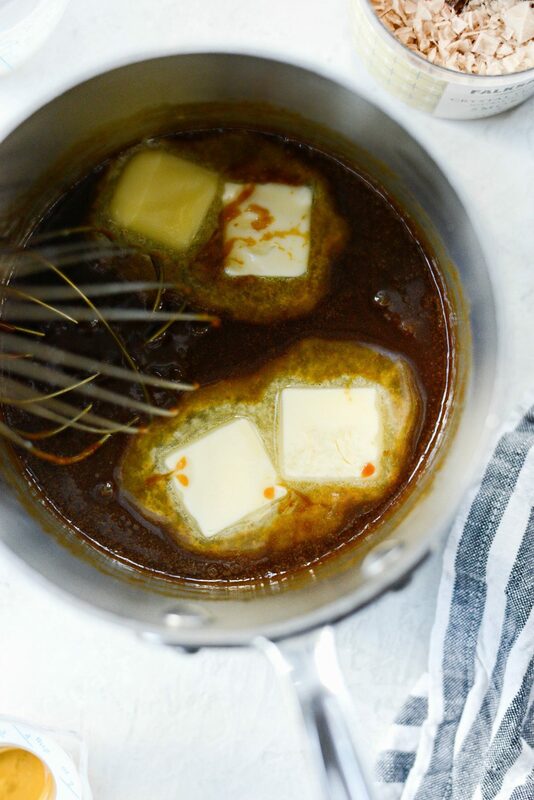 If you’re still melting those hard caramel cubes on a double boiler, you need to stop. 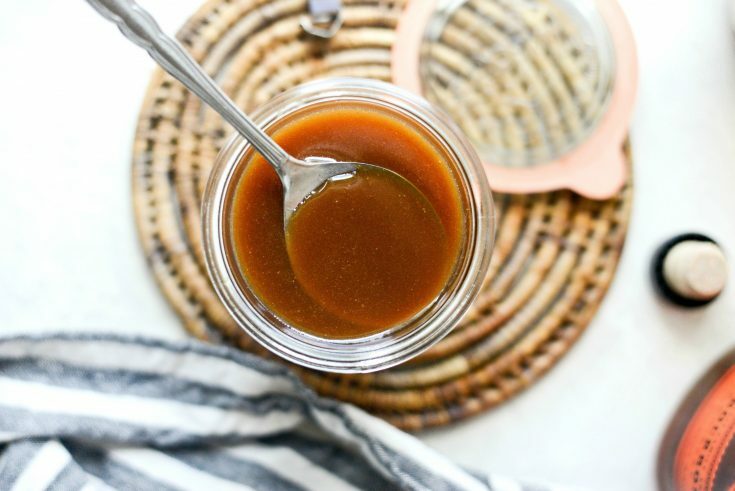 Homemade caramel is a million times more delicious and takes a fraction of the time it does to finally get those jerks to cave (I.e. melt). And if you’re feeling extra, try adding a splash of bourbon. It’s like a warm hug on a cold day. 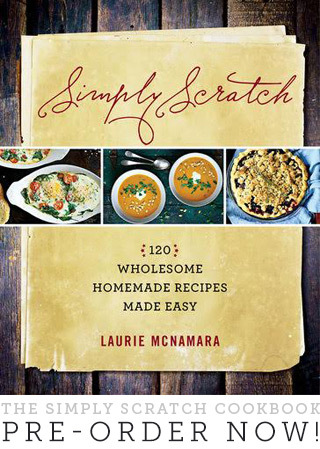 It’s phenomenal and you barely have to lift a finger to make it. 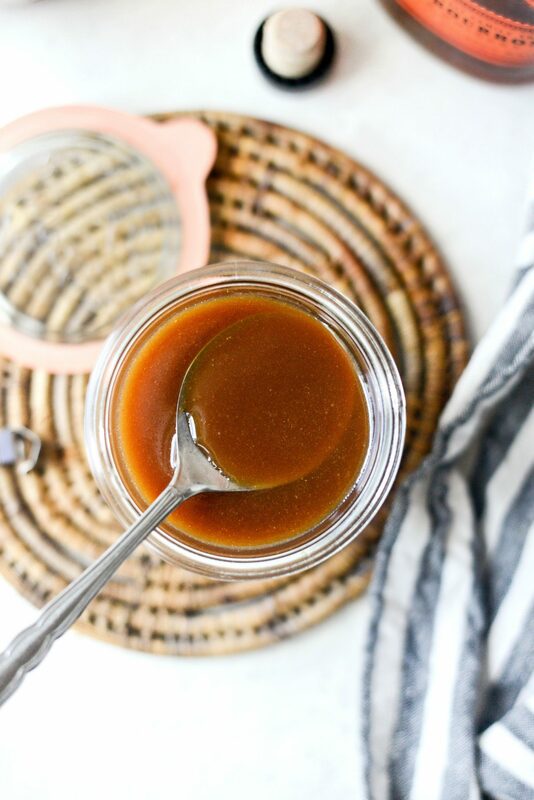 If you remember my homemade caramel sauce, then you may recall that it doesn’t require a candy thermometer and is pretty effortless. 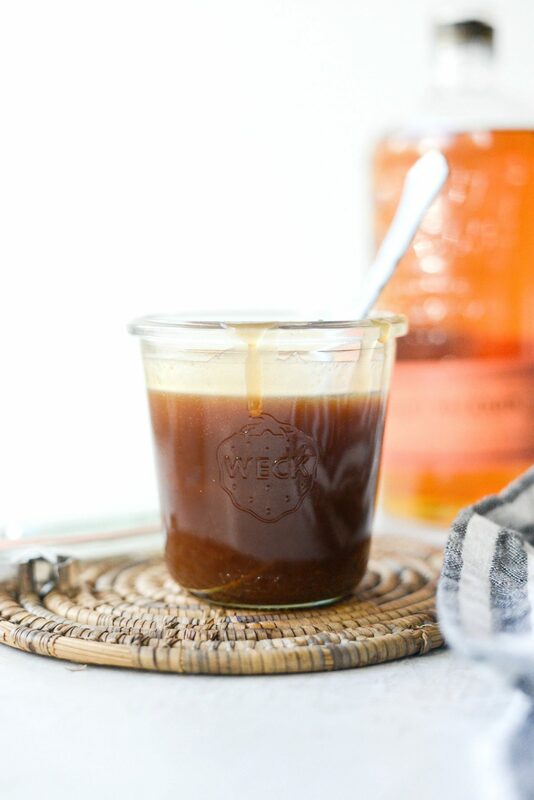 This bourbon salted caramel sauce is no different. 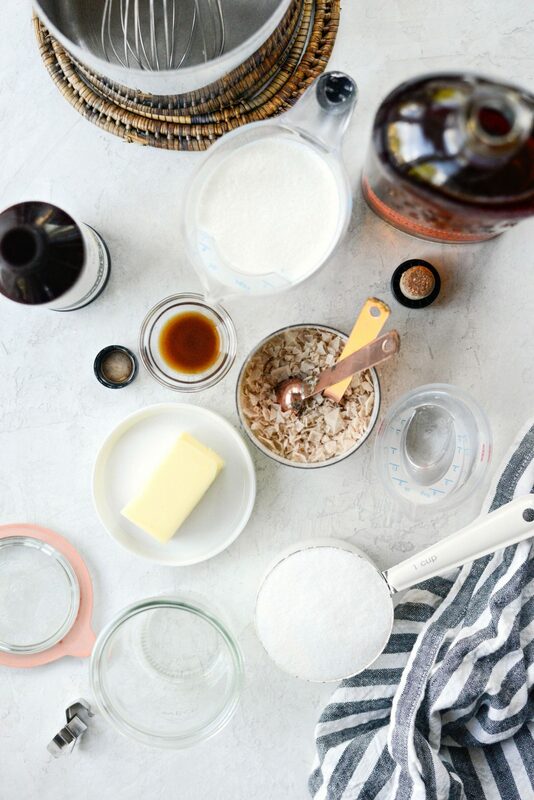 First things first, before making the bourbon salted caramel sauce, set out any refrigerated items on the counter for 45 minutes to bring it up to room temperature. 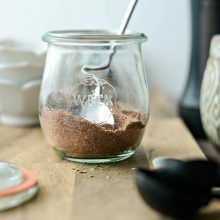 Here’s what you’ll need: 1 cup granulated sugar, 1/4 cup water, 3/4 cup heavy whipping cream, 4 tablespoons unsalted butter, 1/2 teaspoon pure vanilla extract, 1 tablespoon bourbon (more or less to preference) and 1 teaspoon flaked sea salt – I’m using a smoked flaked sea salt (hence the color), but only because it’s what I had on hand. In a heavy-bottom sauce pan, pour the sugar into the center. 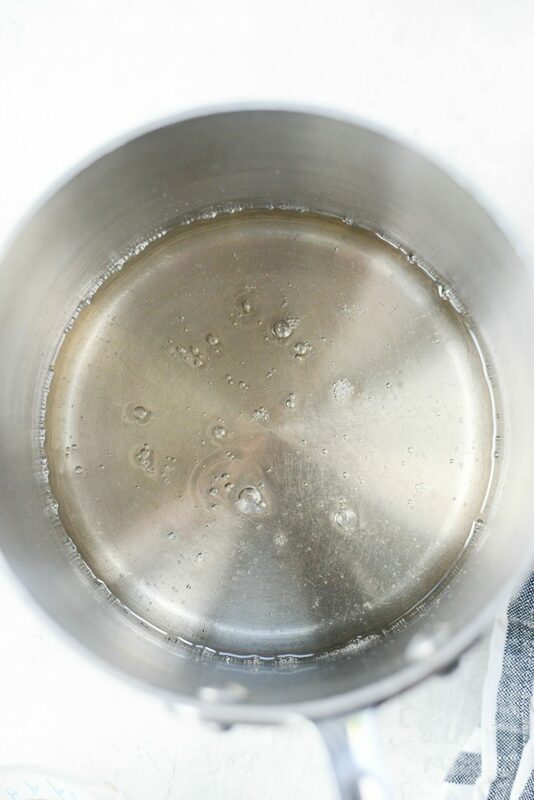 Slowly pour in the water and wait for it to absorb the sugar before placing the pan on the burner. This should only take a minute or two. When making any homemade caramel sauce, it’s good to have every ingredient measured out and ready to go. 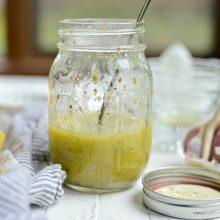 This recipe moves quickly so having all of the ingredients right at your work station is crucial. It’s pretty hands free from here on out. You basically are waiting until the sugar has caramelized. Watch this closely as it will turn from clear, to a champagne color and then to several stages of amber. Once the sugar has caramelized and is a deep golden amber (but not dark!) in color, remove off of the heat. Carefully, watching out for the steam, whisk while pouring in the heavy cream. Then, also carefully, drop in the butter and whisk until combined. Lastly, whisk in the vanilla, bourbon and salt. 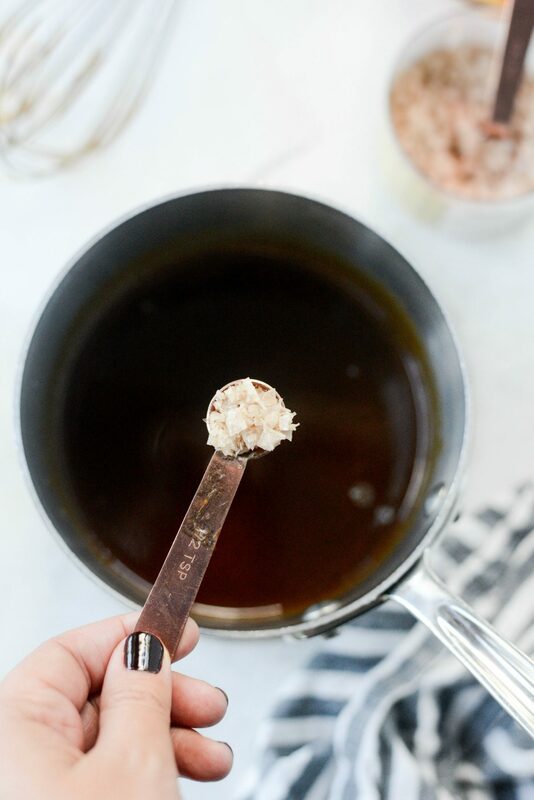 Allow the caramel sauce to cool in the pan for about 5 to 10 minutes before pouring it into a heat-safe container. To speed the process up, I set the bowl in a larger bowl that has ice it in and stir the caramel periodically. SEE that took no time! 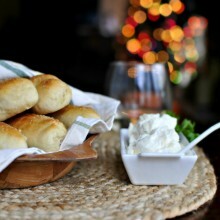 I do have on piece of advice, purchase enough ingredients to make 2 batches. Not only because it’s delicious and will no doubt go fast. But even I burn a batch every now an again. And you will know if your caramel is burnt as it tastes awfully bitter. With that said, having enough to make a back up batch is a good rule to live by. Enjoy! 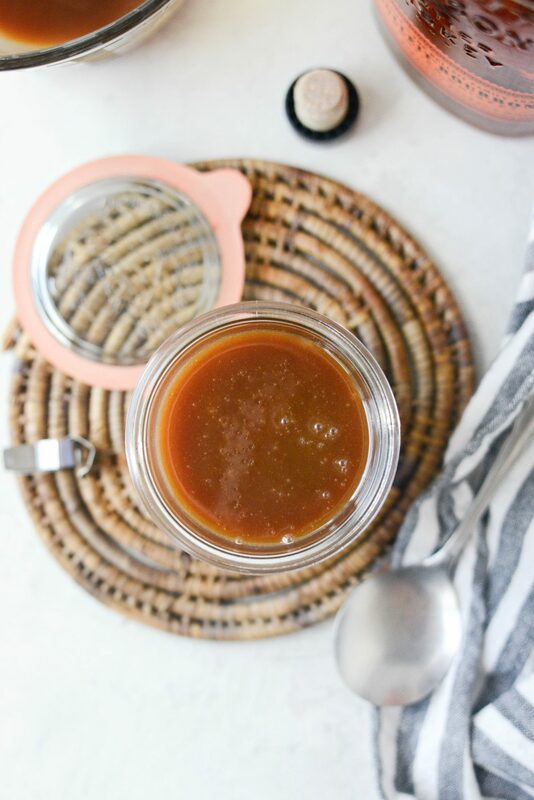 And if you give this The Best Bourbon Salted Caramel Sauce recipe a try, let me know! Snap a photo and tag me on twitter or instagram! What's cozier than the sound of warm homemade Bourbon Salted Caramel Sauce drizzled over your pie, ice cream or in your iced coffee? 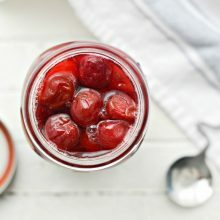 This virtually foolproof method calls for a handful of ingredients and is quick, delicious and boozy! 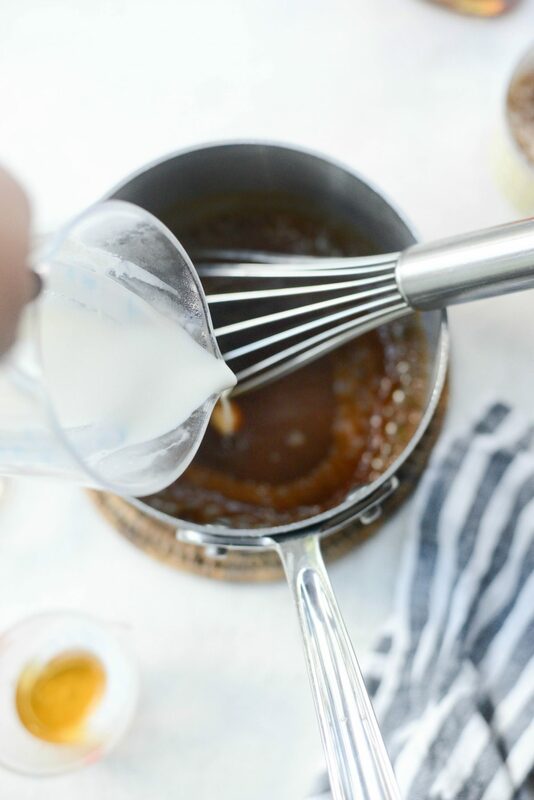 Set your ingredients out on the counter at least 45 minutes prior to starting the caramel. 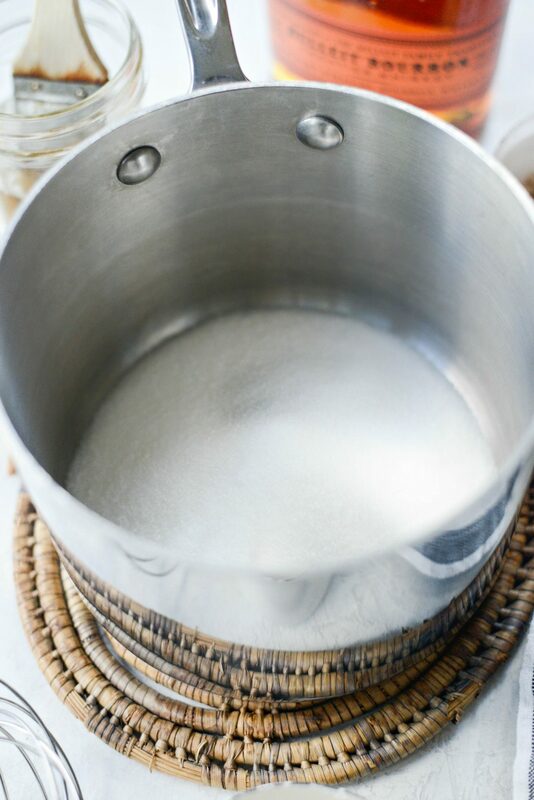 In a clean, heavy bottom saucepan slowly add the sugar to the middle of the pan. Pour in the water. DO NOT STIR. 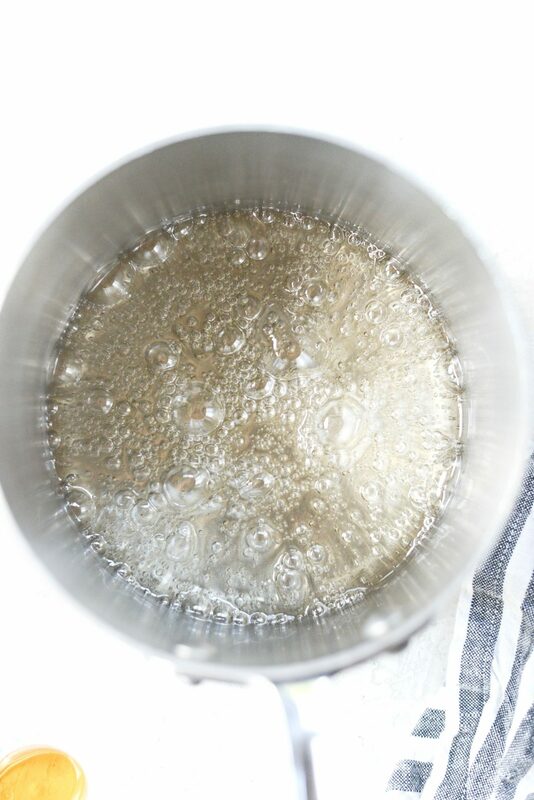 Allow the water to absorb the sugar before turning the heat on to medium-high. It's pretty hands free from here on out until the sugar has caramelized. 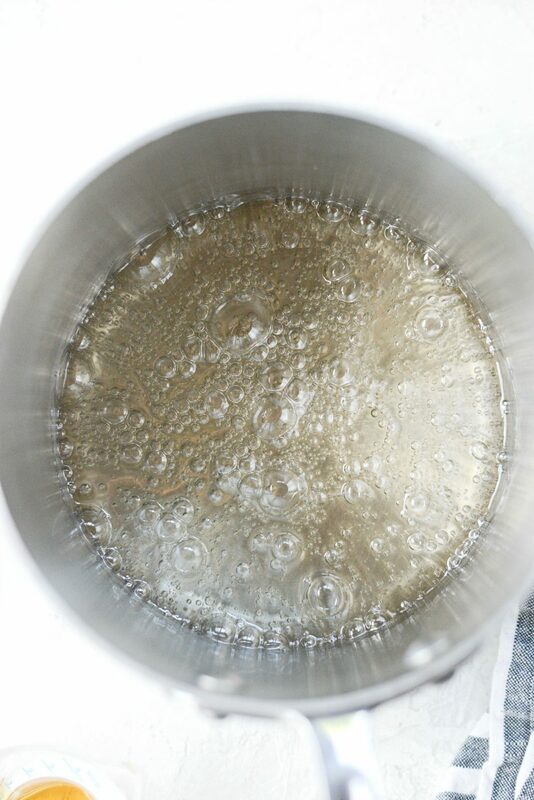 First, bring the sugar/water mixture to a boil. STILL DO NOT STIR. Just watch closely as it will turn from clear, to a champagne color and then to several stages of amber. 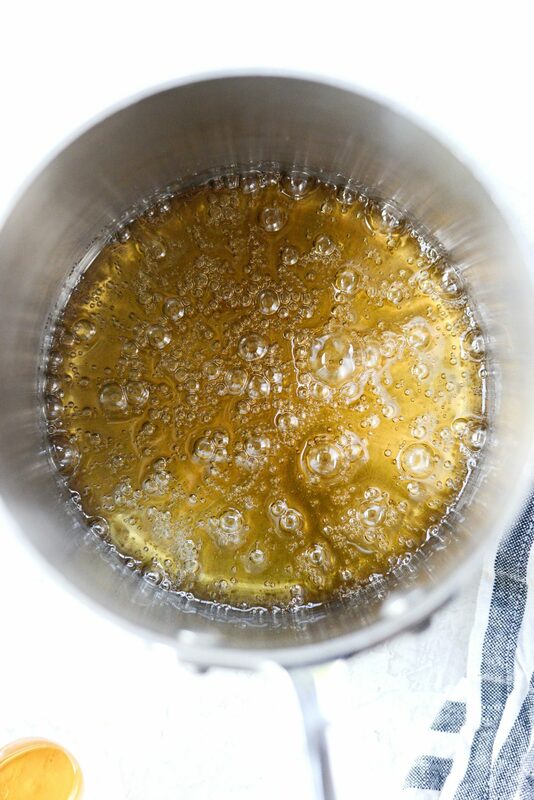 Once the sugar has caramelized and is a deep (but not dark) golden amber in color, remove off of the heat and turn the burner off. Whisk while pouring in the heavy cream being careful of the steam. Then carefully drop in the butter and whisk until combined. 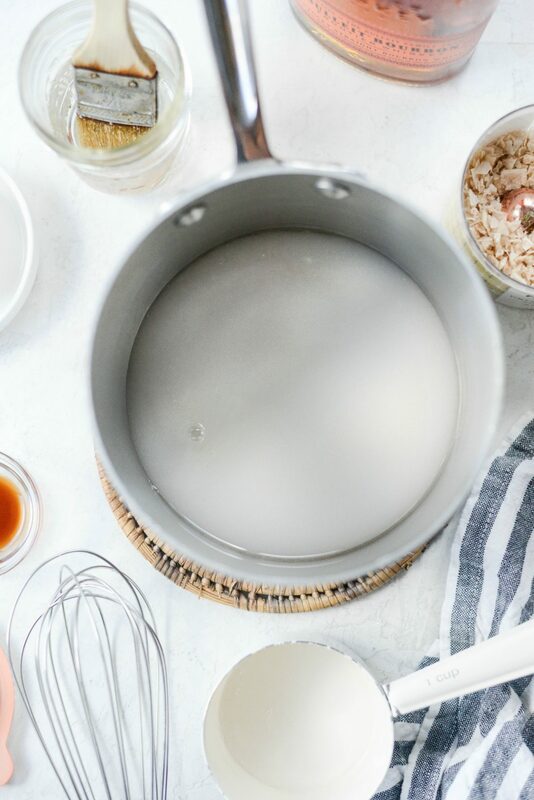 Whisk in the vanilla, bourbon and flaked sea salt and return the pot to the warm burner. 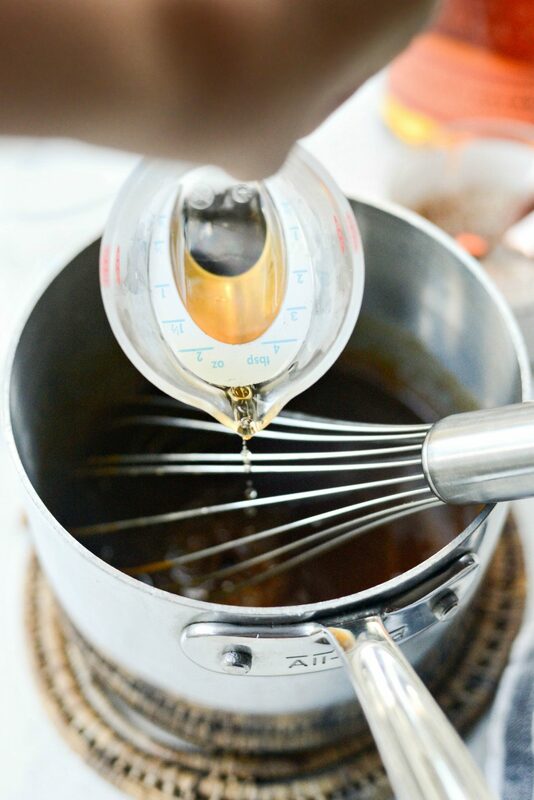 Allow the caramel to heat (with the temperature off) for a minute while you whisk. 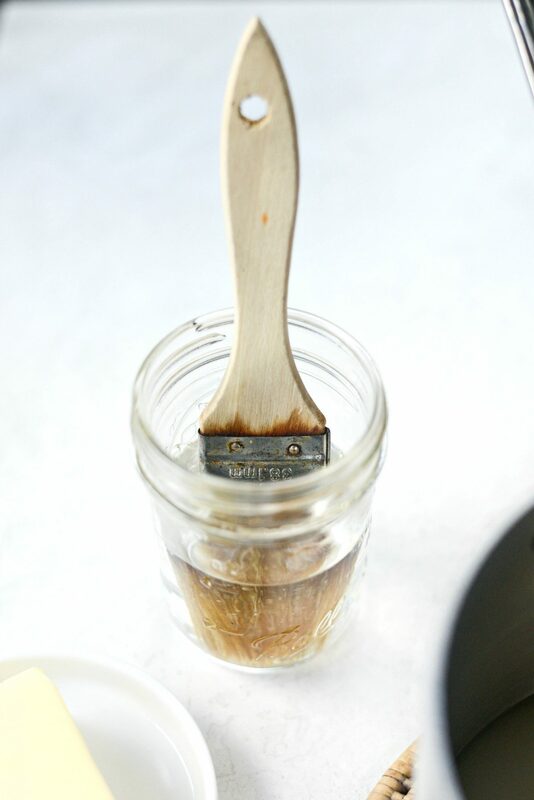 Cool the caramel sauce in the pan for about 10 minutes before pouring the caramel sauce into a heat-safe container. 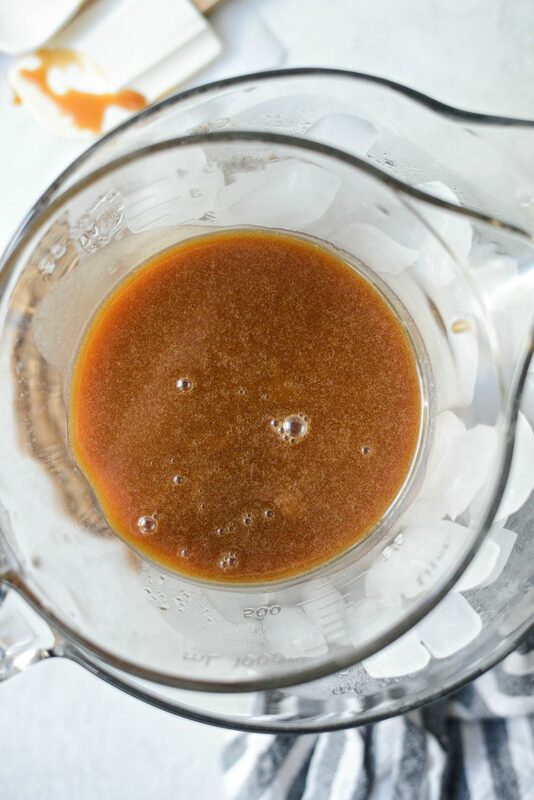 Allow the caramel to cool on the counter for 1 hour or until at room temperature, where it will thicken up quite a bit. 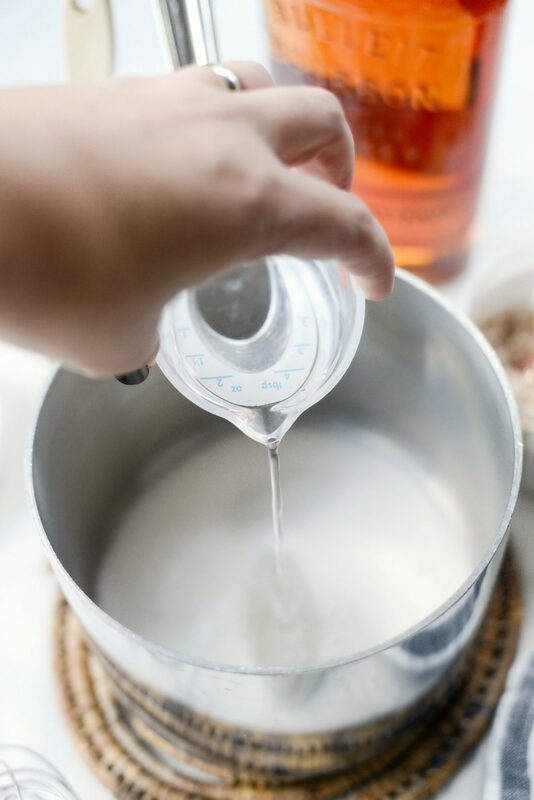 Alternatively, you can pour the caramel sauce into a bowl, set into a large bowl filled with ice to speed the cooling process along. 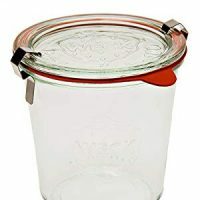 Secure a tight fitting lid and store in the fridge for up to 2 weeks. 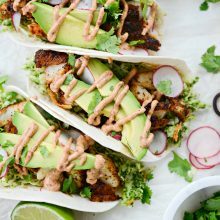 Remember to set your ingredients out 45+ minutes ahead of time.